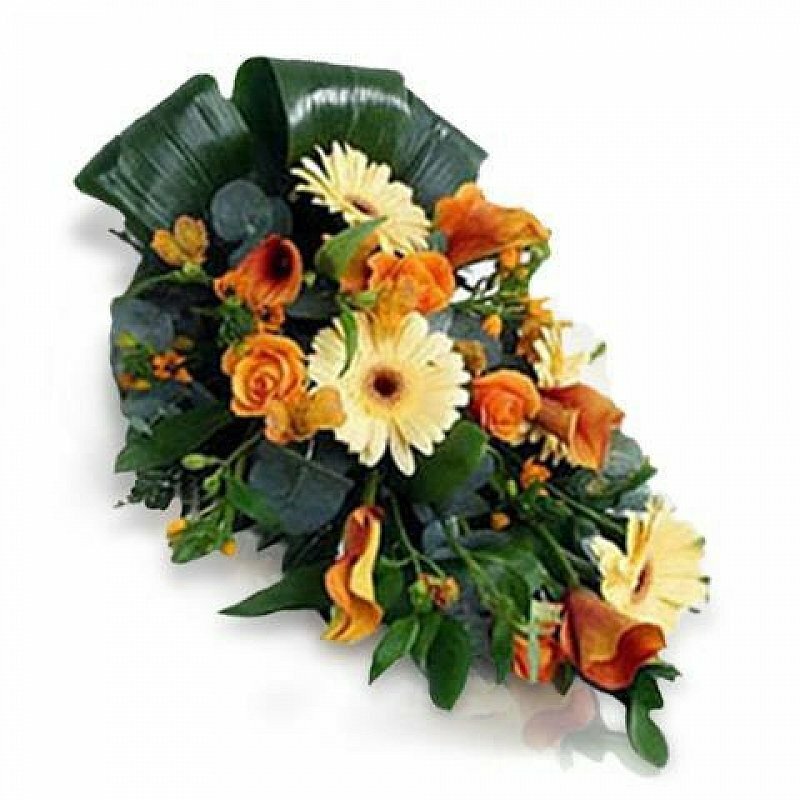 A fine bouquet of roses, carnations and gerberas in peach and orange to share your sympathies at a sad time. Send funeral flowers abroad with FloraQueen. With our same day international flower delivery service you can send funeral flowers and arrangements with ease. It’s never easy preparing to say goodbye to a dearly departed loved one or consoling a grieving friend or relative but when it is necessary it’s important to send the right message. Flowers are rightfully one of the most common ways to express condolences at a difficult time and with our selection of funeral sprays, wreaths and bouquets you have all the tools you need to send thoughtful sympathies. We know that life is busy and the loss of a loved one can happen suddenly. That’s why we make it easy to share your sympathies with our international same day delivery service, so you can send your funeral flowers wherever you need and fast. You just need to choose from our serene selection of classic funeral arrangements, full of premium roses, gerberas, lilies so that your message of condolence is best suited to the personality of your loved one. We work with international florists all over the world to ensure that our funeral flowers are of the best quality and that they can be delivered wherever and whenever you should need them. It’s sometimes difficult to know what to say when an important person in your life passes away. However, if you want to send a written message we've made it easy for you to write your own heartfelt goodbye or if you need a bit of creative inspiration we have our own templates for many different types of funeral situation for you to chose from.